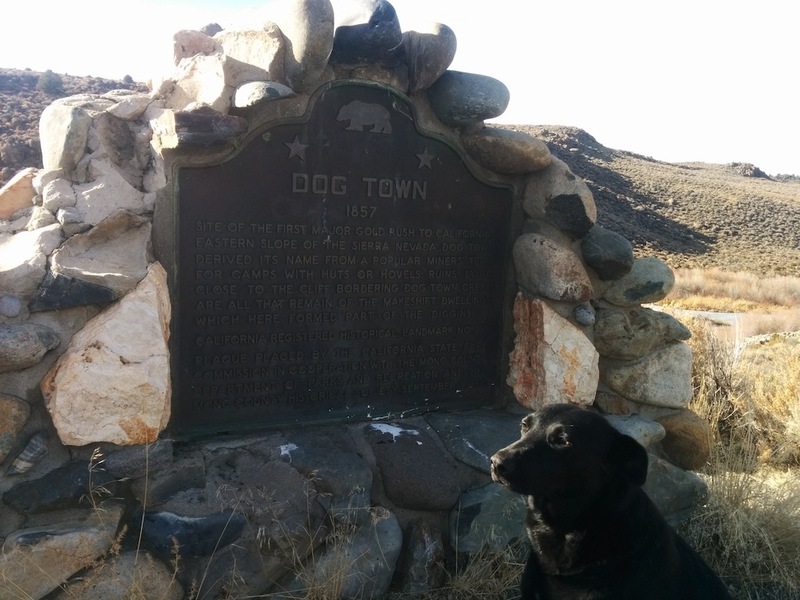 North of Lee Vining and our Mono Lake stop we passed a sign alerting us to the presence of a Dog Town Historical marker. We’re intrigued. I’m on an adventure. With a dog. See this on the side of the road. Why wouldn’t we stop to see what it is all about and snap a quick pic? 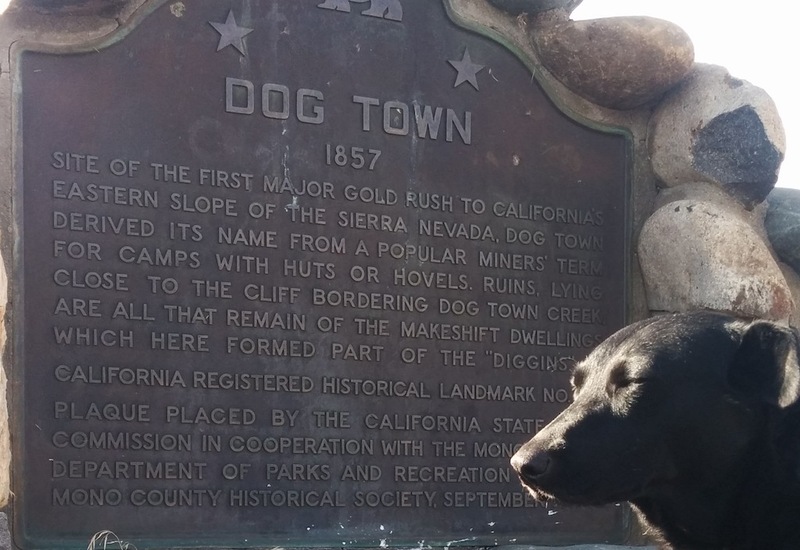 Unfortunately Dog Town has squat to do with dogs but we take a picture anyway. Back into the Tacoma and off again.